Got corks? Now that the holidays have passed, we bet you have plenty. Don't throw them out! 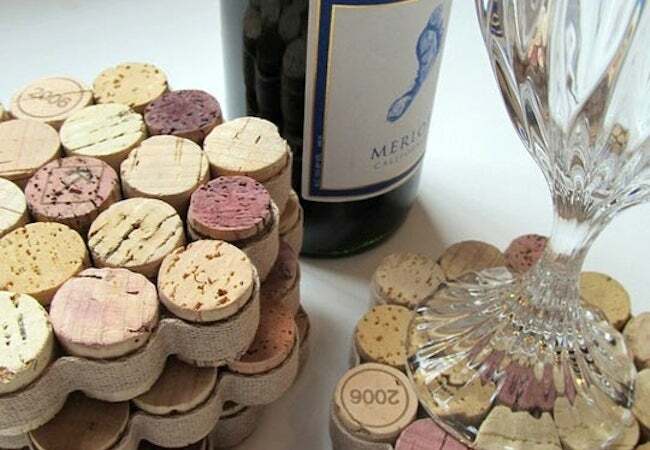 Save them up instead to make one of these simple wine cork projects. We'll raise a glass (or two) to that! In the wake of holiday office functions, neighborhood tree lightings, and, of course, New Year’s Eve parties, wine corks are sure to be littering bar areas, kitchen countertops, and filled-to-the-rim trash bins. My advice? Collect as many of these cylindrical stoppers as possible. Why? Because they’re useful for so many creative undertakings, most of which have nothing to do with drinking. 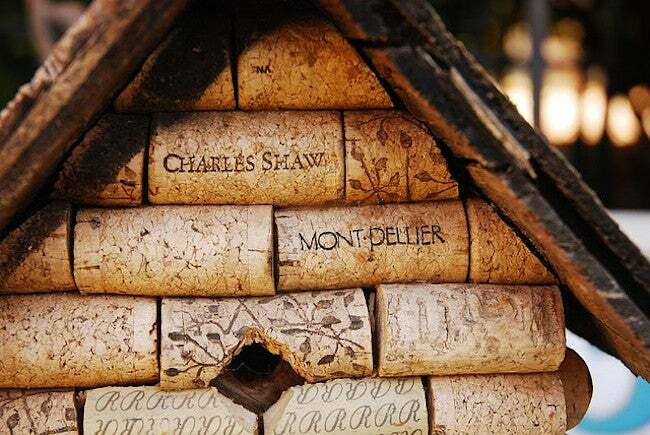 Scroll down to see some wine cork projects that you should add to your 2014 to-do list. 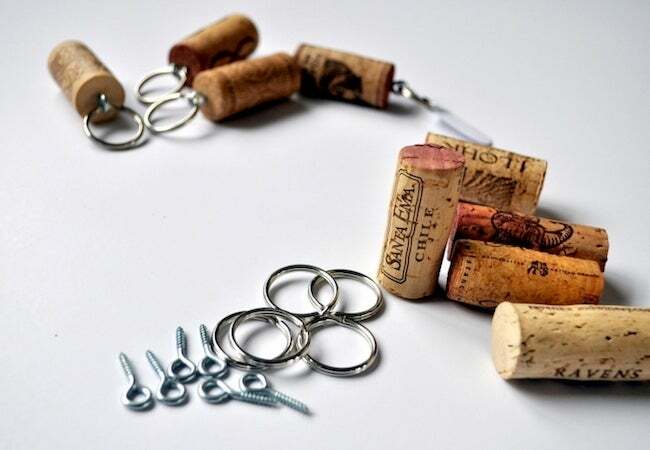 You’ll need less than 10 minutes to complete this out-of-the-ordinary keychain, a wine cork project we found on Cleverly Inspired. The first step is to dip a small screw eye into glue. Next, poke the screw into the cork. Attach a key ring, and you’re done! You’ll never again mistake your keys for anyone else’s. Here’s a wine cork project that will help you safeguard your coffee table from unsightly stains. First, gather about a dozen corks. Proceed to slice them in half before hot-gluing them all into a circular grouping. As a last step, add a strip of felt or burlap around the perimeter. Visit Creativebug for a step-by-step guide. 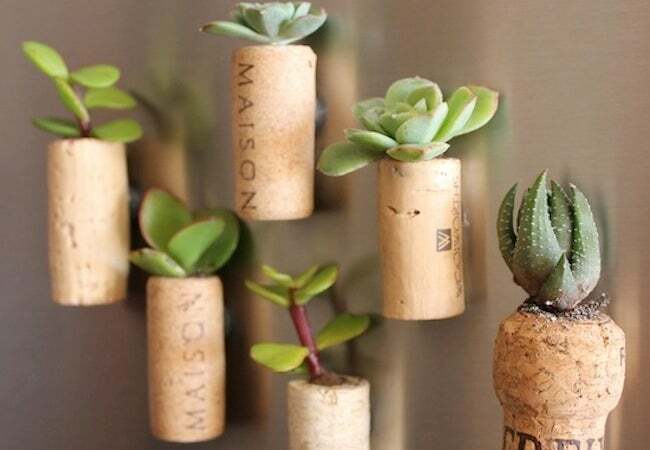 From Upcycle That, this wine cork project came as a pleasant surprise: Whoever thought you could plant a succulent in a “pot” small enough to function also as a refrigerator magnet? Hollow out the cork, pack in a pinch of soil, then insert the plant clipping. Use glue to attach a small magnet, if you want, and don’t forget to add water! Cheap cabernet may be for the birds—but then again, so is that wine cork! With little more than hot glue, a carving knife, and a couple of cases’ worth of wine corks, you can build a birdhouse to hang from a tree branch in your backyard. Watch your new feathered friends through your windows, and come spring, enjoy their songs. Had one too many glasses of wine? Be careful not to slip! Of course, one way to avoid accidents is to drink less, but this wine cork project offers another, perhaps preferable means of avoiding slip-and-falls. 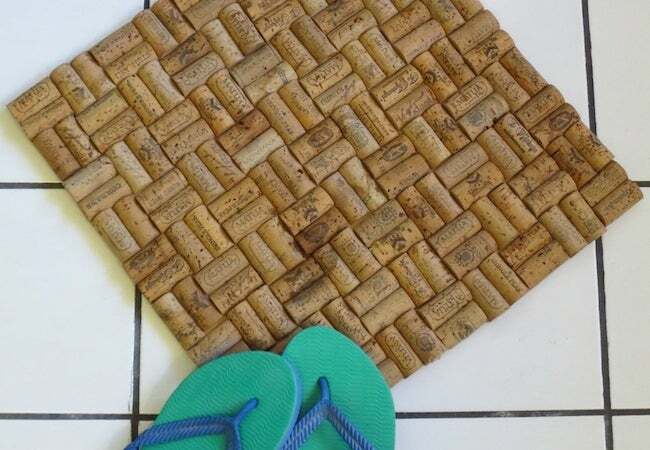 Slice approximately 150 wine corks in half lengthwise, then hot-glue them all onto a rug pad that you have precut to your ideal bath mat size.